Niagara-on-the-lake wedding hair for this beauty. We were so thrilled to be a part of Jenna’s special day. Jenna got married at one of our favourite Niagara-on-the-lake venues, Kurtz Orchards. Kurtz has the most adorable little heritage house right on the grounds. 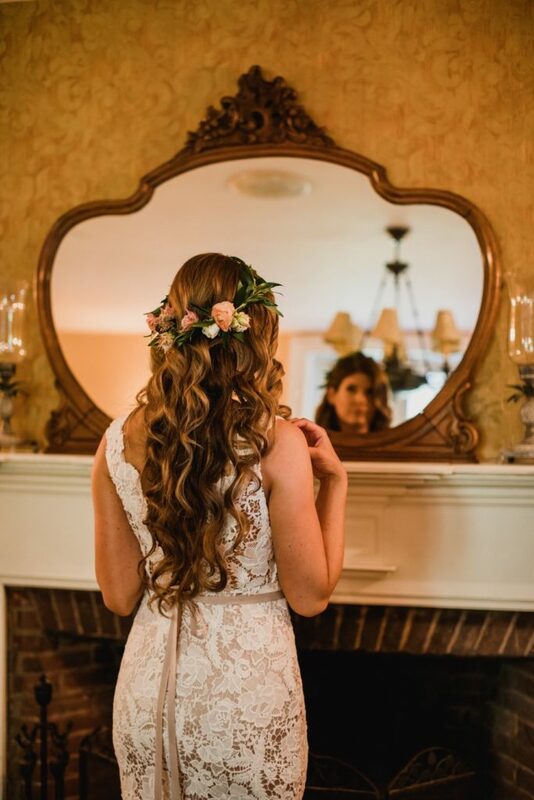 Jenna and her beautiful bridal party were lucky enough to get ready there. All of her pictures inside and around the house are just stunning and looked so romantic. 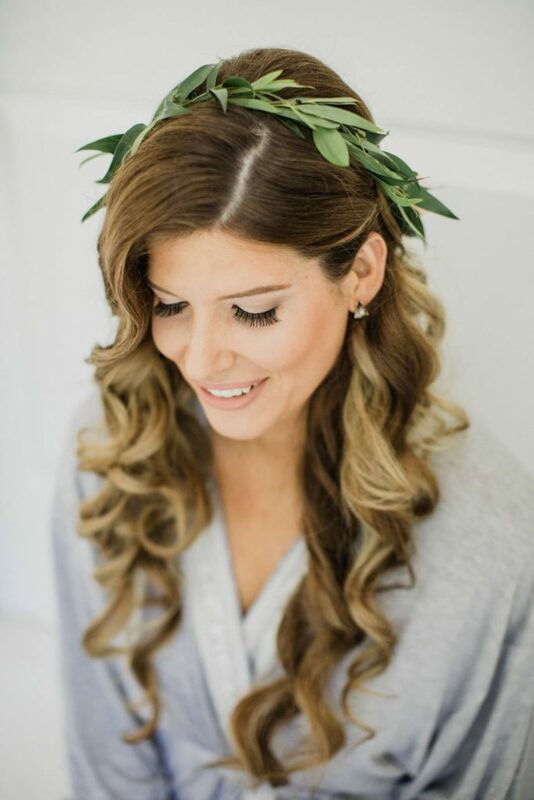 We opted for loose boho waves to compliment Jenna’s gorgeous long locks and the style of her Niagara-on-the-lake Wedding. 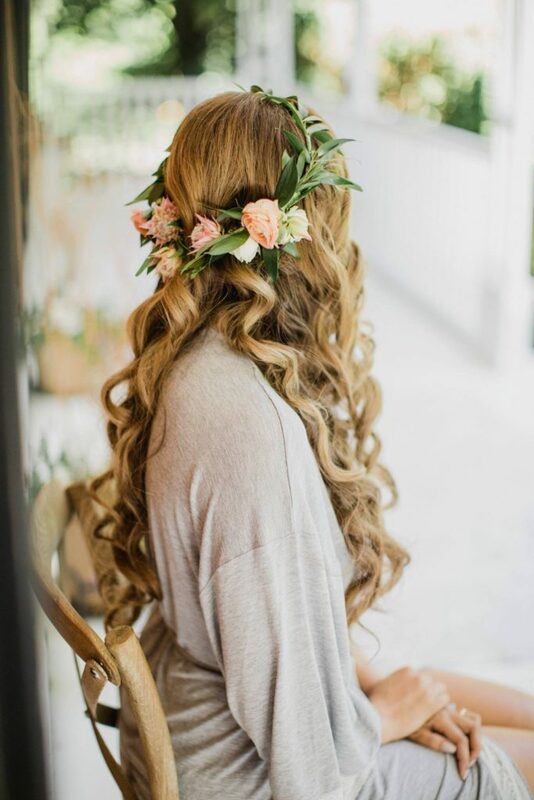 Using our go-to Nume Styling wand, small sections was wrapped and set carefully to create long, boho waves. Her long wavy hair looked amazing with her beautiful flower crown. 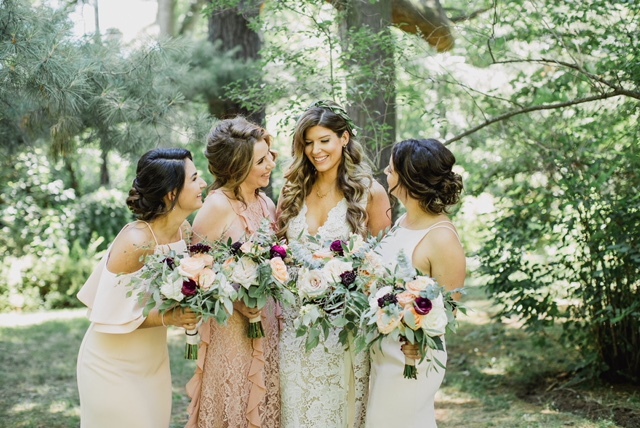 In keeping with the Bride’s orchard themed wedding, we wanted to create hairstyle’s for the bridesmaids that complimented the soft romantic vibe of the day. All of the girls wore loose updos styled with face framing pieces to add texture and softness to their styles. It was such a pleasure helping with beautiful group of ladies. Every picture is so stunning. We can’t wait for our next Niagara-on-the-lake Wedding. 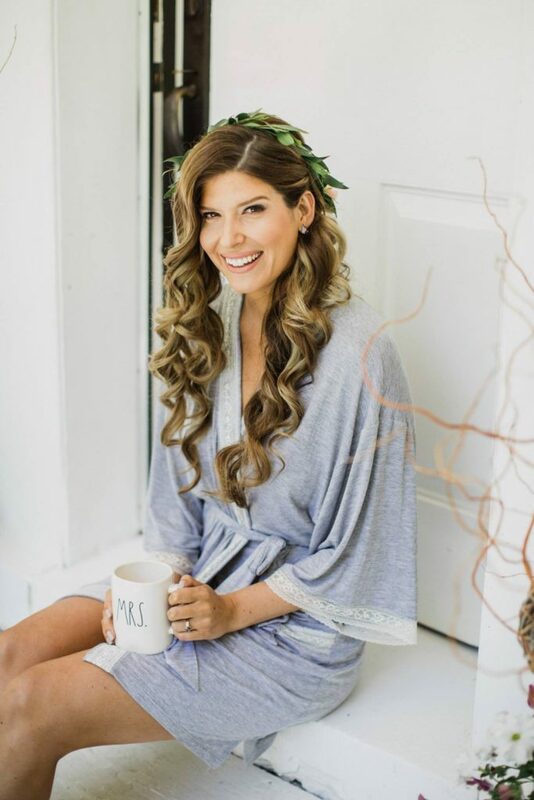 We have been lucky enough to do makeup & hair for so many destination weddings in and around Ontario, British Columbia and several abroad too. If you are a destination bride getting married outside of Ontario or British Columbia we would love to be a part of your special day. Please contact us HERE to learn more about your destination wedding packages.